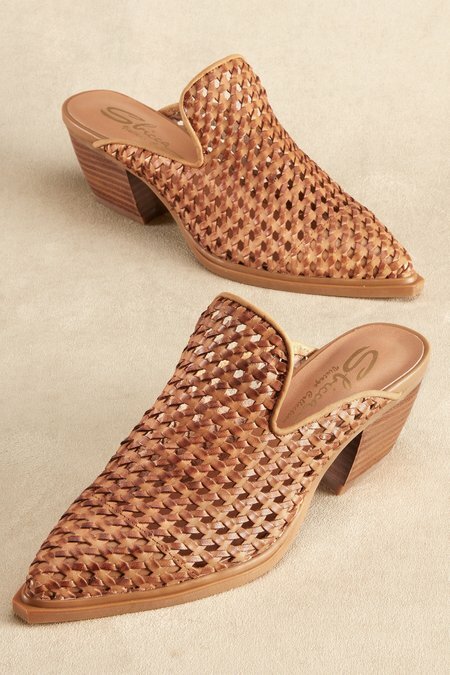 Handcrafted leather basketweave mules add artisanal texture as you step into fall. With a pointy toe, shapely stack heel and rubber sole, they're Western-inspired but at home anywhere. 2-1/2" heel.